Nothing is by nature more attractive to human’s sub-consciousness than the golden color and this luxury golden cardboard tube packaging box is then a good choice for getting the intension of your clients at first glance. Made by very robust 300g cardboard, it is decorated by high-end 128 golden chrome paper without any printing but only shinny golden surface. 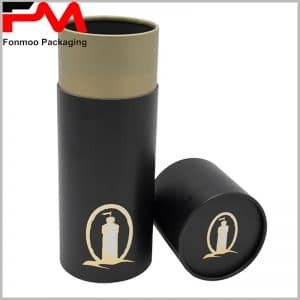 Such package, without not even a single word or pattern, is still outstanding among a bunch of tube boxes with the pure golden color, a color that catch people’s eyes without any delay. You can use it for packing luxury gifts such as perfume, and that will certainly give the product a good added value. Do you have need for customization for such package? 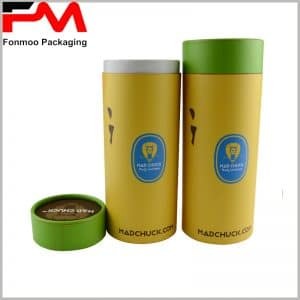 Just get in touch with us and tell us what you need, our experienced team will act at once to offer you the demanded luxury golden cardboard tube packaging box for your high-end product.